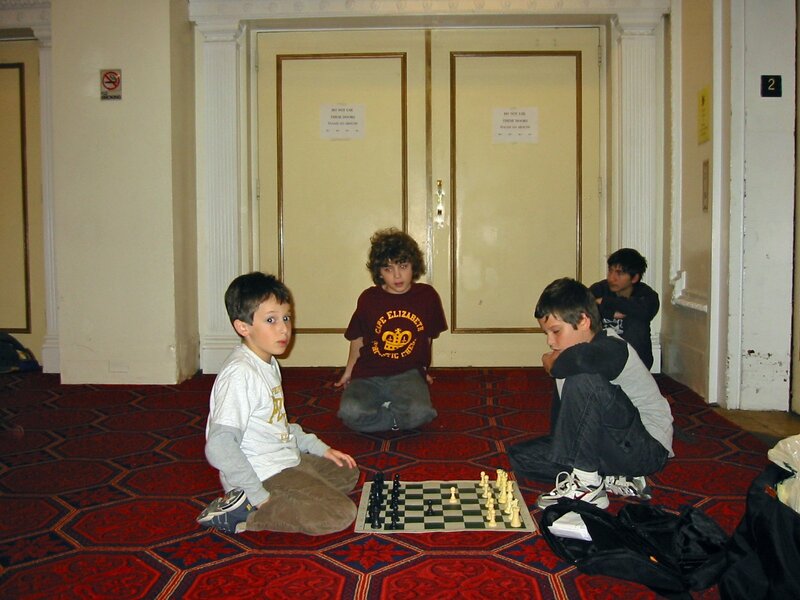 01.30.07 Four regulars from the new Coastal Maine Scholastic Chess Club in Cape Elizabeth traveled to New York City on January 27 - 28, 2007 to compete in the 41st Annual Greater New York Scholastic Chess Championship. These four tournaments (Primary, Elementary, Junior High and High School) held over two days are among the largest events in scholastic chess in the country, attracting nearly 700 participants. 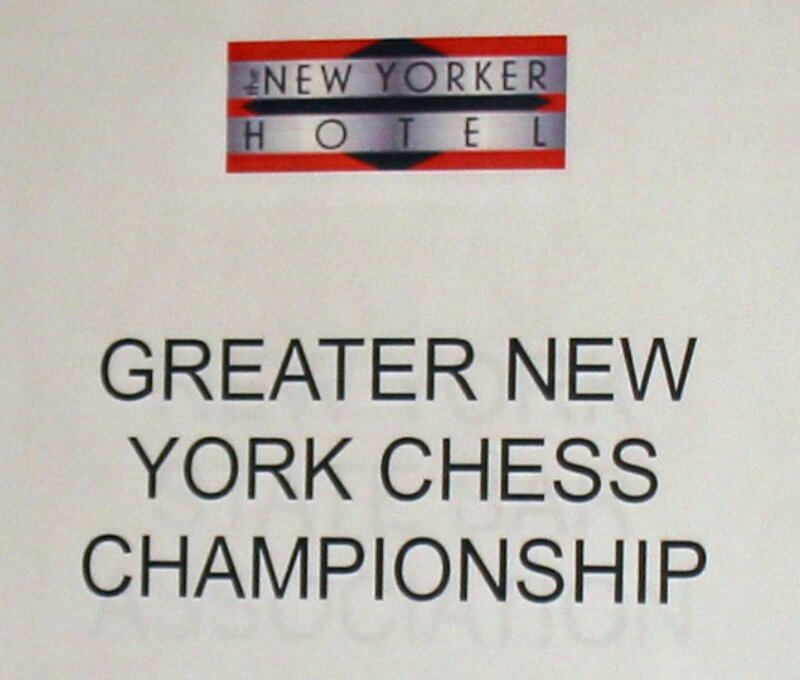 This year's championship was held at the New Yorker Hotel in Manhattan, and attracted many of the US Top 100 players in their age groups, since so many of those players hail from the very active New York area chess scene. The Maine group, which numbered 10 strong with family members, was the only group other than two entrants from California from outside the New York area. By the end of the weekend, the Mainers had made their mark. Matthew Reale-Hatem, a 4th Grader from The Pond Cove School in Cape Elizabeth, competed on Sunday in the Elementary Novice Section. Competing in his first major tournament, Matthew won his first two games, and finished in top half of this competitive section. Peter Campbell, also of Cape Elizabeth Middle School competed on Saturday in the Junior High School Junior Varsity section, and scored an impressive 2.5 out of 5 points in this very challenging section. Matthew Fishbein, a 3rd Grader from The Pond Cove School in Cape Elizabeth, who recently was added to the Top 100 lists as the 71st ranked 8 year old in the country, scored a 3.0 of 5 on Saturday in the Primary (K-3) Varsity Section, and finished 15th out of 68 players. 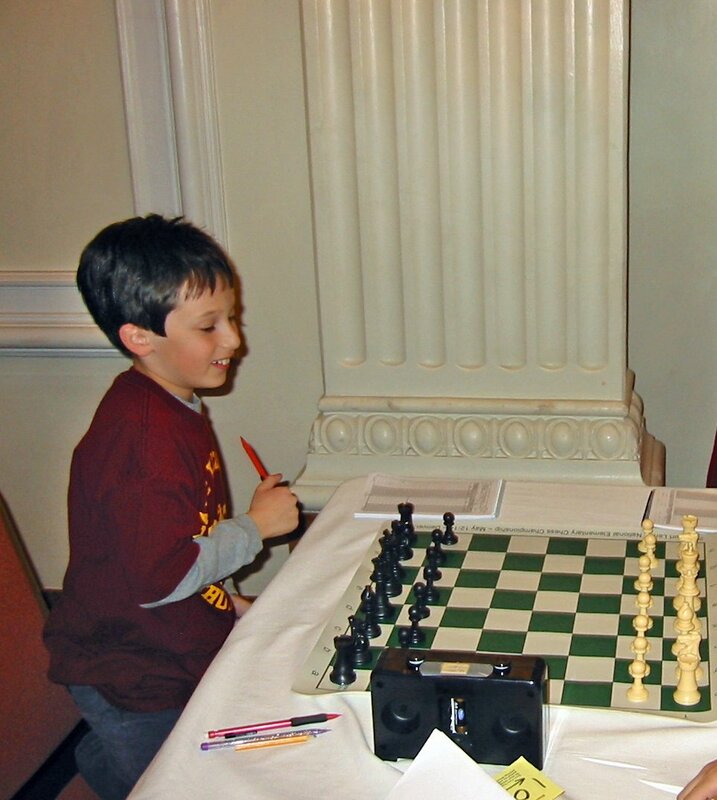 A highlight was when Matthew defeated the 6th ranked 8 year old in the nation, who had a rating of 1558. On Sunday Matthew again scored 3.0, this time in the Elementary Varsity section, and finished 22 out of 54 highly rated participants. Max Berube, a 9th grader at South Portand High School, entered the weekend officially unrated, but even the tournament directors were talking about him by the end of the weekend. On Saturday, Max took the 5th place trophy in the Junior High School Junior Varsity Section, with a 4.0 out of 5. 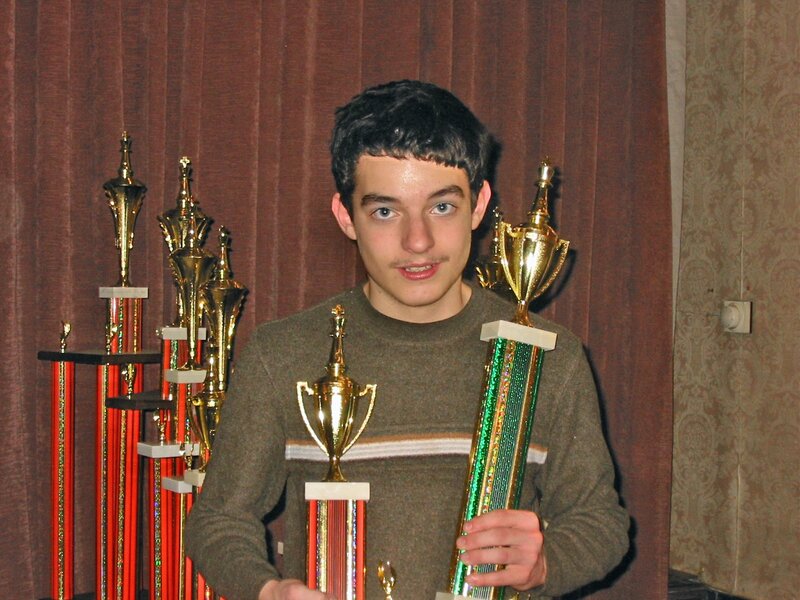 On Sunday he won his second trophy, taking 10th place in the High School Novice Section, with 3.5 points. At one point on Saturday with Max in first place, one tournament director, looking at the posted scores was overheard saying, "He's unrated? He's not going to be unknown after this!" Another highlight was that Max played his Sunday games in the same room with two FMs and an IM who were competing in the High School section. Everyone also enjoyed what New York City had to offer, taking in museums, shows and great food. The other kids and parents were very friendly, and made the Maine contingent feel completely welcome. 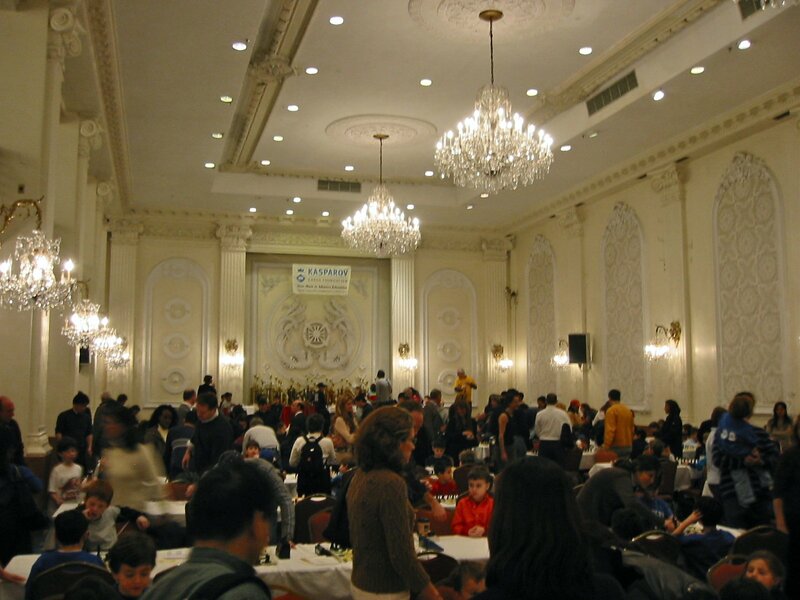 The Grand Ballroom, one of three large venues used in the New Yorker Hotel, just before a round. 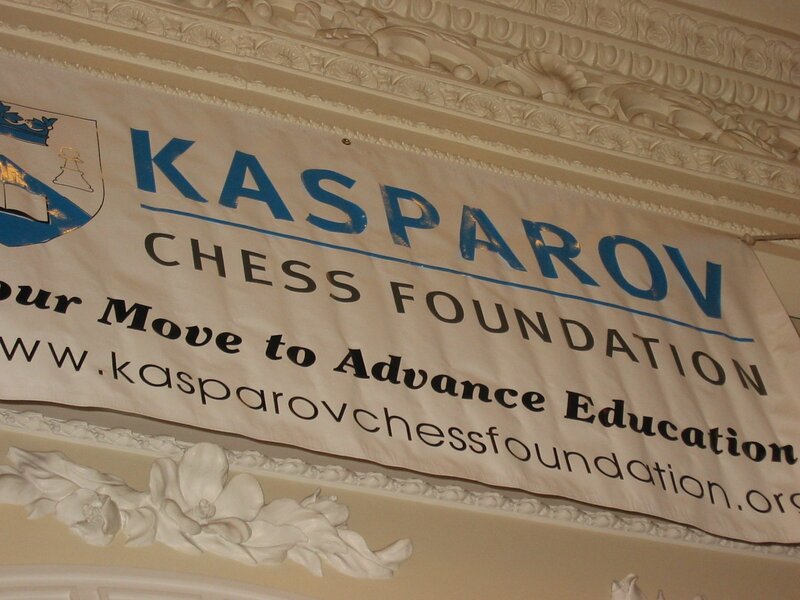 The tournament was sponsored by The Kasparov Chess Foundation. Matthew Fishbein prepares to play his 5th match on Saturday. 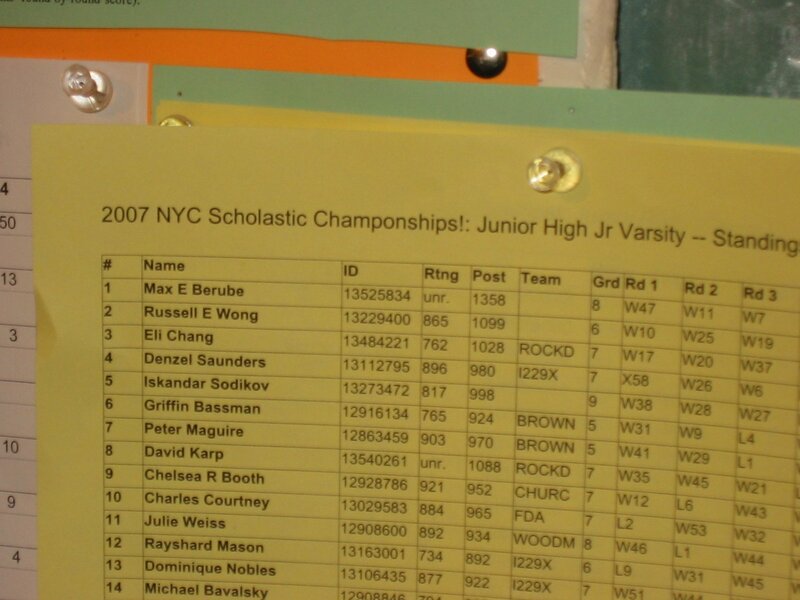 Surprising the New York crowd: previously unrated Max Berube of South Portland leads the Junior High School Junior Varsity Section after 4 rounds, and is projected to have a rating of 1358. Matthew Fishbein, Cape Elizabeth, Peter Campbell, Cape Elizabeth, Max Berube, South Portland (with his 5th Place trophy) and Matthew Reale Hatem, Cape Elizabeth. A lot of hardware to hold: Max Berube and his trophies! Thank you so much for these wonderful articles and pictures!! Congratulations to all the Maine team! It was a pleasure to watch you support each other over the weekend. A very special experience for Matthew. All of you did a fantastic job and made Maine proud!